Examples, solutions, videos, activities, and worksheets that are suitable for A Level Maths to help students answer questions on arithmetic sequence and arithmetic series. 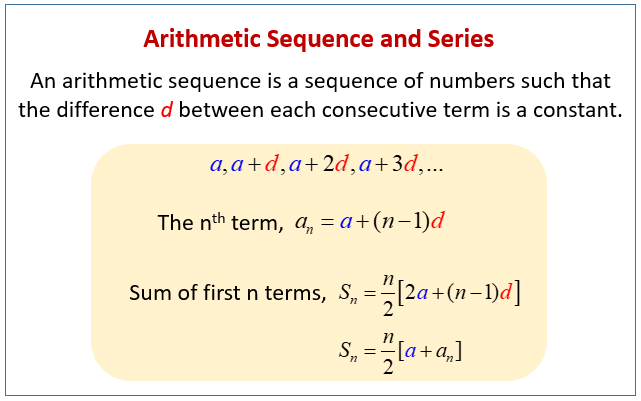 The following diagrams give the formulas for arithmetic sequence and arithmetic series. Scroll down the page for more examples and solutions.